I’ve just started on a binge of screencast-making that will probably continue throughout the fall. Some of these screencasts will support one of my colleagues who is teaching Calculus III this semester; this is our first attempt at making the course MATLAB-centric, and most of the students are alums of the MATLAB course from the spring. So those screencasts will be on topics where MATLAB can be used in multivariable calculus. Other screencasts will be for my two sections of calculus and will focus both on technology training and on additional calculus examples that we don’t have time for in class. Still others will be just random topics that I would like to contribute for the greater good. Here are the first two. 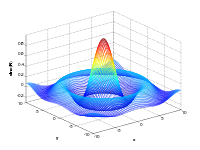 It’s a two-part series on plotting two-variable functions in MATLAB. Each is about 10 minutes long. Part of the reason I’m doing all this, too, is to force myself to master Camtasia:Mac, which is a program I enjoy but don’t fully understand. Hopefully the production value will improve with use. You’ll probably notice that I discovered the Dynamics Processor effect between the first and second screencasts, as the sound quality of Part 2 is way better than that of Part 1. I’d appreciate any constructive feedback from podcasting/screencasting or Camtasia experts out there. I’m going to be housing all these screencasts at my newly-created YouTube channel if you’d like to subscribe. And if I manage to do more than one or two a week, I’ll put the “greatest hits” up here on the blog. I’m still in recovery mode from this past semester, which seemed somehow to be brutal for pretty much everyone I know in this business. But something that always helps me in this phase is thinking about what I get to do with the much lighter schedule that summertime affords. Here’s a rundown. Mostly this summer I will be spending time with my family. On Mondays and Fridays, I’ll be home with my two daughters. On Wednesdays I’ll have them plus my 16-month old son, plus my wife will have that day off. On Tuesdays it’ll be just the boy and me. So I plan lots of trips to the zoo, the various parks around here, and so on. I still have plenty of time to work, and I have a few projects for the summer. First, I need to get ready for my Geometry class this fall. I am making the move from Geometer’s Sketchpad to Geogebra this fall, and although I took a minicourse at the ICTCM on Geogebra, I still need to work on my skills before I teach with it. Also, I need to figure out exactly what I am going to teach. I’m going to be using Euclid’s Elements as the textbook for the course, eschewing commercial textbooks for both monetary and educational reasons. But I’m not totally sure what I’m going to have students do, exactly. So I’ll be reading through the Elements and possibly thinking out loud here on the blog about how to incorporate a 2000-year old mathematical work with modern open-source dynamic geometry software in an engaged classroom. I’m calling it “ancient-future geometry”, whatever it turns out being. Second, I’ll be working on our dual-degree Engineering program to try and make it a little easier to schedule and complete. This is hard-core administrative stuff, interesting to nobody but a select few geeks like me. Third, I’ll be working to further my programming skills with MATLAB and Python. I picked up a lot of MATLAB programming to get ready for the course this past semester, but that seemed only to highlight how much more I needed to learn. And I watched enough of this MIT computing course over Christmas break that I want to do the whole thing now that I have some time. Fourth, I’ll be attending the American Society for Engineering Education conference in Louisville next month. Part of that experience is a day-long minicourse titled “Getting Started in Engineering Education Research”. I’ll be taking my participation in that minicourse as the kickoff to a concerted effort to get into the scholarship of teaching and learning. Along with the minicourse I’ll be reading through some seminal SoTL articles this summer, and probably blogging what I’m thinking. Fifth, and finally, I’ll be mapping out some incursions of the inverted classroom model in my Calculus course this fall. More on that later as well. For now, my family and I are heading out to Tennessee on vacation to visit family and hang out. I’ll be off the grid for a week or so. Enjoy yourselves and stay tuned! Is the iPad really what students need? Students are on a fixed budget, and e-books are typically cheaper than their paper-based counterparts. Also, consider all of the money publishers lose when students buy used books from the campus bookstores. Additionally, Apple can distribute textbooks through iTunes U — an established and proven system that students, faculty and staff already know how to use. Suddenly the iPad is a device that follows a student from his/her freshman year of high school all the way through graduate school. Why buy a laptop when every student has a device that can be a textbook, reference tool, Internet appliance and whatever else the imaginations of developers can dream up? I do believe that the iPad’s success will be closely tied to its success in the EDU sector, but Caolo’s analysis misses some important points about students and their educational computing needs. Students need more from their computers than just email clients, ebook readers, and web access. They need to be able to run spreadsheets and word processors simultaneously. They need to be able to run sophisticated scientific computing software. They need to be able to install and run legacy software that their universities may have purchased — or even developed in-house — decades ago. (For example, in our math courses alone at my college, we use Minitab, Winplot, and even Derive. The chances of these being ported to the iPad are basically zero.) They need to be able to do video chats with Skype. These are just a few of the things that the iPad cannot do right now. The above argument assumes that textbooks are the center of a student’s education. I would argue that the best thing about an iPad in education is that it provides a great platform for getting away from textbooks as the center and focusing on existing, web-based information sources instead. Why invent a whole new class of technology only to have it perpetuate a rapidly-outmoded means of instruction? I think the iPad is a neat-looking device, and it does have the capacity to change the entire landscape of computing from a user interface point of view. The next time I’m up for an upgrade to my work machine (in 2014, sadly) I fully expect to be getting an Apple device that has all the guts and power of my new Macbook Pro but with a sleek form factor and intuitive touch interface like the iPad (apparently) has. This kind of device is probably what students need. The first-generation iPad, not so much, not right now at least. Although I am sure students will buy it. I’d like to add my $0.02 worth to this discussion just because (1) I’m a longtime Stewart Calculus user, having used the first edition (!) when I was an undergrad and having taught out of it for my entire career, and (2) I’m also a fairly consistent critic of Stewart’s calculus and of textbooks in general. I try to see textbooks from the viewpoints of my students. From that vantage point, I unfortunately find very little to say in favor of Stewart’s franchise of books, including the current edition, all of the previous five editions, the CCC version (which is almost exactly the same as the non-reform version of the book but with less clarity in its language), or the “Essential” calculus edition. Stewart has a relentlessly formalistic approach to calculus that, while admirable in its rigor, renders it all but impenetrable to students who are not used to such an approach, which is certainly nearly every student I teach and I would imagine a large portion of the entire population of beginning calculus students. If you don’t believe me, go check out his introductory section on the definite integral (Section 5.2 in the sixth edition). Stewart hopelessly confuses the essentially very simple idea of the definite integral by hitting students with an avalanche of sigma-notation right out of the gate. Or, try the section on exponential functions (1.5), in which Stewart for some reason feels like it’s necessary to explain how it is we can define an exponential function at rational and irrational inputs. This is all well and good, but does the rank-and-file beginning calculus student need to know this stuff, right now? As a result, I find myself having to tell students NOT to read certain portions of the book, and then remixing and rewriting large parts of the rest of it. But that leads to the ONE thing I can say in the positive sense about Stewart, which I can’t say about many “reform” books: Stewart is what you make it. The book does not force me to teach in a certain way, and if I want to totally ignore certain parts of it and write my own stuff, then this generally doesn’t cause problems down the road. For example, at my college we don’t cover trigonometry in the first semester. In most other books we’ve examined, trig and calculus are inextricable, and so the books are unusable for us. With Stewart, though, given a judicious choice of exercises to omit, you can actually pull off a no-trig Calculus I course with very little extra work on the prof’s part. I can also say, regarding Stewart CCC, that the ancillary materials are excellent. The big binder of group exercises that comes with the instructor edition is much better than the book itself. I don’t think that I have yet seen a calculus book that is really fundamentally different from the entire corpus of calculus textbooks, with the possible exception of Hughes & Hallett. They all cover the same topics in the same order, more or less, and in the same ways. If you’re looking for the next wave of calculus reform, therefore, you’ll have to find it outside the confines of a textbook, or at least the textbooks that are currently on the market. Textbooks almost by definition are antithetical to reform. Perhaps real reform will come with the rejection of textbooks as authoritative oracles on the subject in the first place. That could mean designing courses with no centralized information source, or using “inverted classroom” models utilizing online resources like the videos at Khan Academy (http://www.khanacademy.org) or iTunesU, or some combination of these. Actually, more likely the next wave of reform will be in the form of reconsidering the place of calculus altogether, as the CUPM project did several years ago. Is it perhaps time to think about replacing calculus with a linear combination (pardon the pun) of statistics, discrete math, and linear algebra as the freshman introduction to college mathematics, or at least letting students choose between calculus and this stat/discrete/linear track? Is calculus really the best possible course for freshmen to take? I think that’s a discussion worth having, or reopening. We’ve had one full meeting of Computer Tools for Problem Solving (the MATLAB course I’ve blogged about). According to the survey I’m having students fill out on our Moodle site, it went pretty well, even if it was a little like drinking from a fire hose. 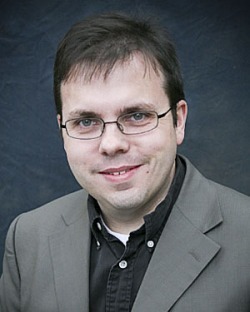 This first meeting was a lengthy guided tour of all the core features of MATLAB, assuming no prior knowledge of computer algebra systems or programming. Subsequent meetings will be a lot more hands-on, with students working in groups on lab activities centered around a particular topic or problem. This next week it’s graphing, for instance, and students will be creating all kinds of different plots of data and functions. Which brings us to the question of resources. As I mentioned in a previous post, none of the wide array of entry-level MATLAB textbooks really hit the right notes for my student audience. So I ended up going with no textbook at all. I realized that in learning MATLAB myself, I’d come across a wealth of resources on the web that were completely free, and if properly integrated into the course, they could serve just as well for students as they did for me. The page of tutorials for MATLAB at Mathworks.com. This contains two hours’ worth of professionally-produced, appropriately-pitched interactive video tutorials starting from the beginning and hitting all the important topics one would need to get started with MATLAB. There are very few places in these videos that are not excellent, and there are even built-in multiple choice quizzes to assess your learning of the material as you watch. For me, these videos are the main “textbook” for the course. Cleve Moler‘s free e-book, Experiments with MATLAB. When I first drew up this course, Moler’s book was going to be the textbook. It is said to be designed for high school students taking calculus or a science course. Unlike the bone-dry technical approach that most introductory MATLAB books seem to take, Moler teaches MATLAB via the problems he sets out. It’s a great idea. Unfortunately, the book quite often badly overestimates the math and computing background — and comfort level — of the typical college student, and it just doesn’t work as a primary source for my students. Nonetheless, it’s free, and it is well-written when the level of writing is audience-appropriate, and the problems are fun. We’ll be using 3-4 of the early chapters later in the course for activities. The really nice thing about these three sources is that they are all free for students and me to use. Since students aren’t paying $60+ for a textbook, they can consider spending $100 to purchase the student version of MATLAB and not be tied to the campus network for their classwork. I’m doing some research, if you can call it that, right now that involves looking at past editions of popular and/or influential calculus books to track the evolution of how certain concepts are developed and presented. I’ll have a lot to say on this if I ever get anywhere with it. But in the course of reading, I have been struck with how little some books change over the course of several editions. For example, the classic Stewart text has retained the exact wording and presentation in its section on concavity in every edition since the first, which was released in the mid-80’s. There’s nothing wrong with sticking with a particular way of doing things, if it works; but you have to ask yourself, does it really work? And if so, why are we now on the sixth edition of the book? I know that books need refreshing from time to time, but five times in 15 years? Anyhow, it occurred to me that there’s something really simple that textbook companies could do that would both help out students who have a hard time affording textbooks (which is a lot of students) and give themselves an incentive not to update book editions for merely superficial reasons. That simple thing is: When a textbook undergoes a change in edition, post the old edition to the web as a free download. That could be a plain PDF, or it could be a Kindle or iBooks version. Whatever the format, make it free, and make it easy to get. By charging the regular full price for the “premium” (= most up-to-date) edition of the book, the publisher wouldn’t experience any big changes in its revenue stream, provided (and this is a big “if”) the premium edition provides significant additional value over the old edition. In other words, as long as the new edition is really new, it would cost the publisher nothing to give the old version away. But if the premium edition is just a superficial update of the old one, it will cost the publisher big money. So publishers would have significant incentive not to update editions for no good reason, thereby costing consumers (students) money they didn’t really need to spend (and may not have had in the first place). It’s a lot easier to download a PDF of a deprecated version of a book, free and legally, then to try your luck with the various torrent sites or what-have-you to get the newest edition. Therefore, pirated versions of the textbook would be less desirable, benefitting both publishers and authors. Schools with limited budgets (including homeschooling families) could simply agree not to use the premium version and go with the free, deprecated version instead. This would always be the case if the cost of the new edition outweighs the benefits of adopting it — which again, puts pressure on the publishers not to update editions unless there are really good reasons to do so and the differences between editions are really significant. The above point also holds in a big, big way for schools in developing countries or in poverty-stricken areas in this country. Individual students could also choose to use the old edition, and presumably accept responsibility for the differences in edition, even if their schools use the premium edition. Those who teach college know that many students do this now already, except the old editions aren’t free (unless someone gives the book to them). All this provides publishers and authors to take the moral high road while still preserving their means of making money and doing good business. Some individual authors have already done this: the legendary Gil Strang and his calculus book, Thomas Judson and his abstract algebra book (which I used last semester and really liked), Fred Goodman and his algebra book. These books were all formerly published by major houses at considerable cost, but were either dropped or deprecated, and the authors made them free. How about some of the major book publishers stepping up and doing the same?